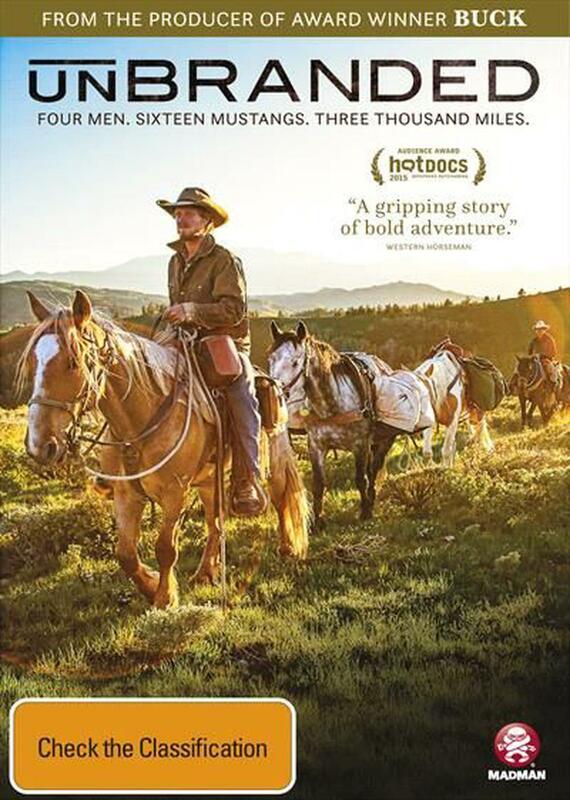 Four young Cowboys hatch an outrageous plot to adopt, train, and ride a string of wild mustangs 3,000 miles from Mexico to Canada through the wildest terrain of the American West. The trip becomes an epic journey of self-discovery, testing friendships, and iconic landscapes that includes runaway horses, a sassy donkey, perilous mountain passes, rodeos, sickness, injury, and death. Winner of the Audience Award at Telluride Mountainfilm and Hot Docs, UNBRANDED is a soaring tale of danger and resilience, an emotionally charged odyssey that shines a bright light on the complex plight of America's wild horses. Four men. Sixteen mustangs. Three thousand miles.